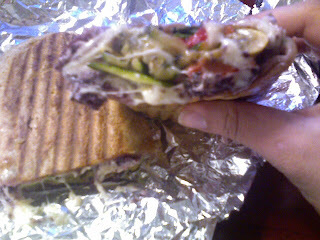 For lunch yesterday I had a Whole Wheat Wrap with grilled Zucchini, Yellow Squash, Red Pepper, fresh Spinach, Black Olives, Swiss Cheese and roasted garlic spread, I paired it with a bag of chips and it was all very delish. 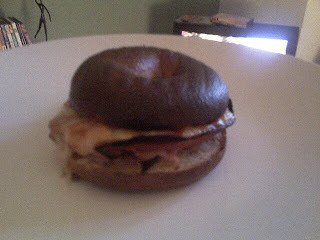 Dinner was a 100 calorie WW Bagel with Swiss Cheese and Ham. 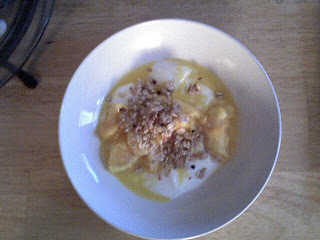 And for dessert I made my favorite Orange dish. 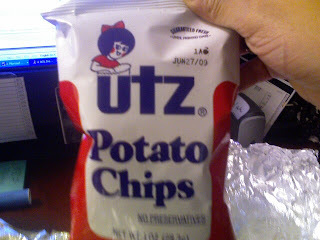 I'll be back later with todays eats....have a great day!! !